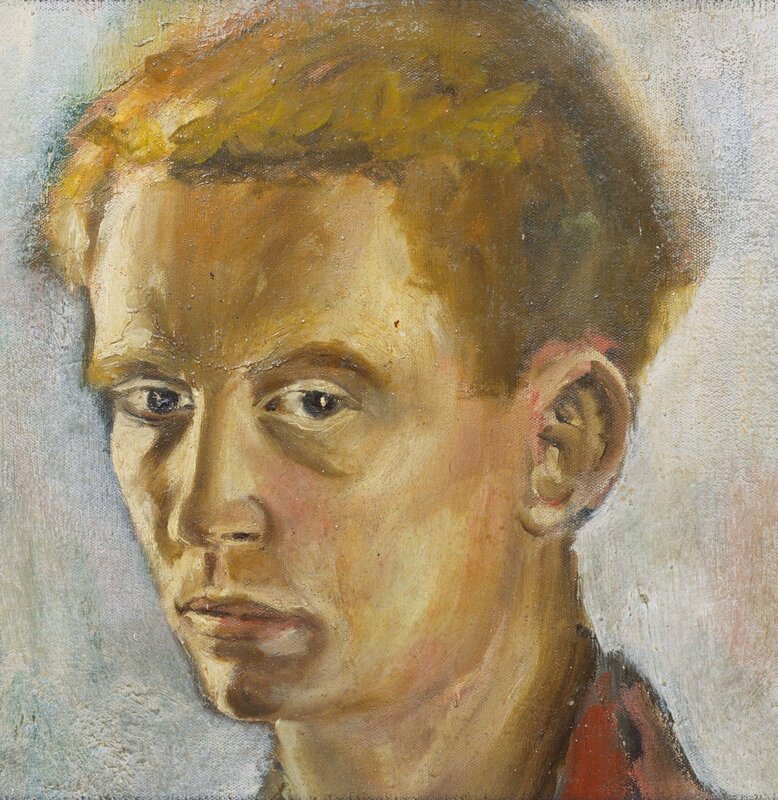 Portraiture for Brett Whiteley was an insight into the psychology of the human condition. In his self-portraits, the artist reveals layers of himself and defines portraiture as something beyond the physical self to include his environment, personal and artistic influences, whether affirming or self destructive. 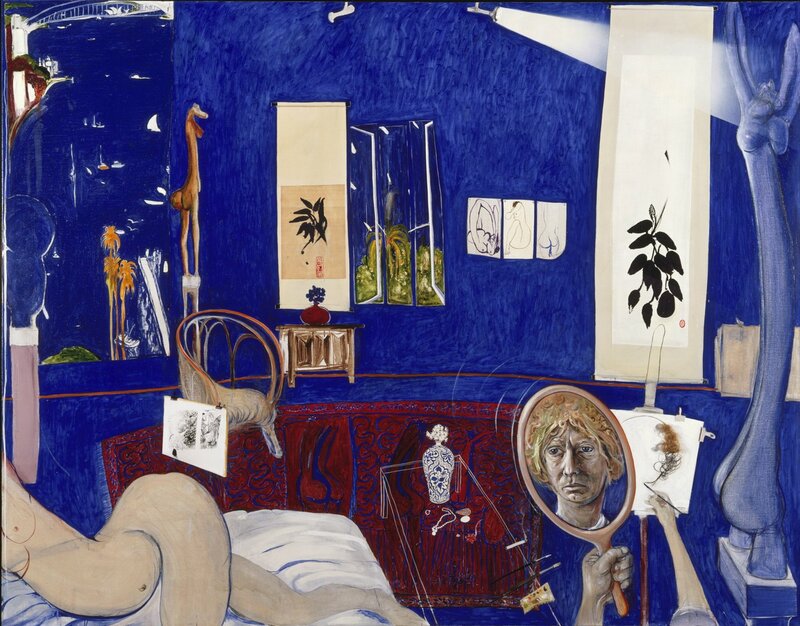 Brett Whiteley was born in Sydney on 7 April 1939. He lived in the northern suburb of Longueville and attended Chatswood Primary School, then Scots College in Bathurst. 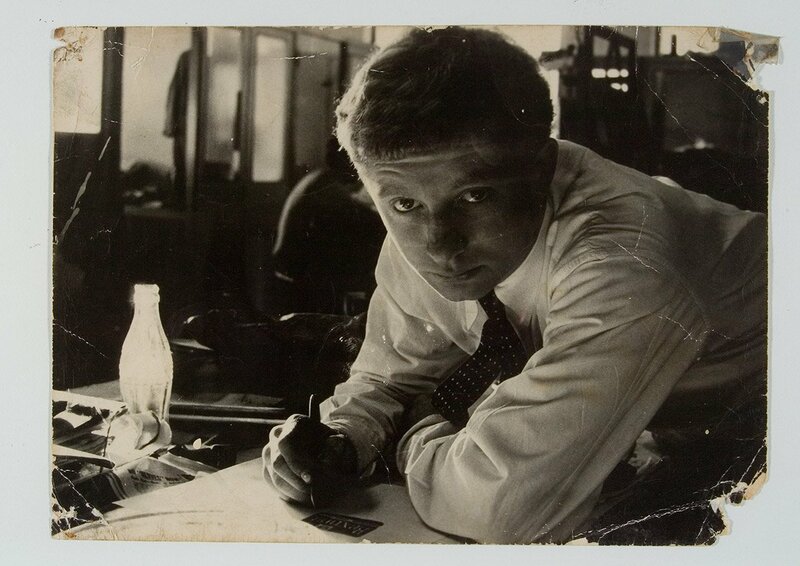 After leaving school in 1956 at the age of 17, Whiteley worked in Sydney for the advertising agency Lintas. 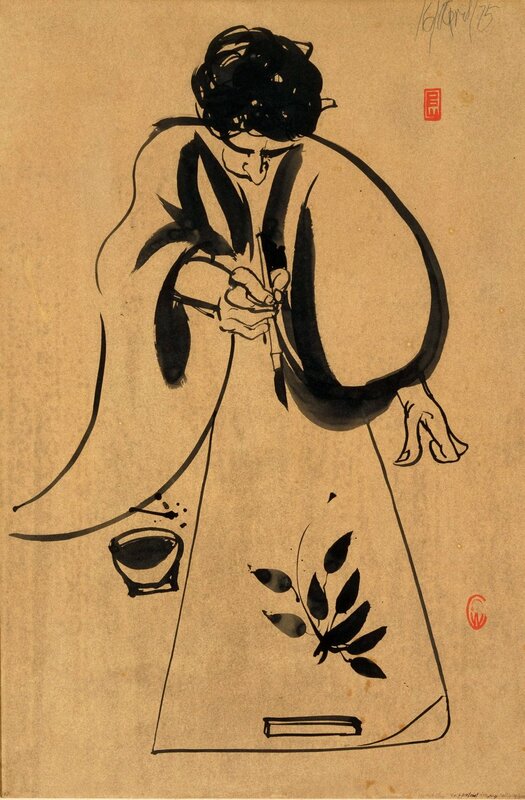 Apart from attending evening drawing classes and sketch clubs, he was largely self-taught. I picked the book up and studied it – it completely changed my way of seeing. The immediate effect was a heightening of reality in that everything I looked at took on an intensity … That morning returning to school by bus, I remember the poplar trees were bare for winter … but it took me years to paint what I saw. I remember having this very, very powerful sense that my destiny was to completely give myself to painting – that I would be a painter and it was a remarkable moment of knowing that. Whiteley won his first major prize at the age of 20, the Italian Travelling Art Scholarship, awarded by Sir Russell Drysdale. The scholarship enabled Whiteley to travel to Europe and experience first-hand much of the art he had only seen in reproduction. The big self-portrait looking at himself in the mirror is extraordinarily honest in some ways. He makes no attempt to hide the fact that he is somewhere else … He was trying silently to say, stay away, this is not what it might seem. Look at this beautiful house and wonderful pictures and things. But there was another side – that’s duality of life – and that’s where Brett’s pictures moved away from Matisse’s. ... he was warning himself and other people watching. It was the cage of his interior, his addiction, the window or a glimpse of possible escape into paradise: the escape from one’s psyche. This painting won the Archibald Prize in 1976 and was acquired by the Gallery in 1977. For portraiture to survive, especially self-portraiture, there has to be a deepening quality of self-revelation. Portraiture shouldn’t just be paint and canvas. In 1978, Whiteley entered another controversial self-portrait into the Archibald Prize – 'Art, life and the other thing’ – and it too made an immediate impact. That year he won the trifecta, being awarded all three prizes including the Wynne and Sulman. His self-portrait was a bold, almost grotesque confessional. 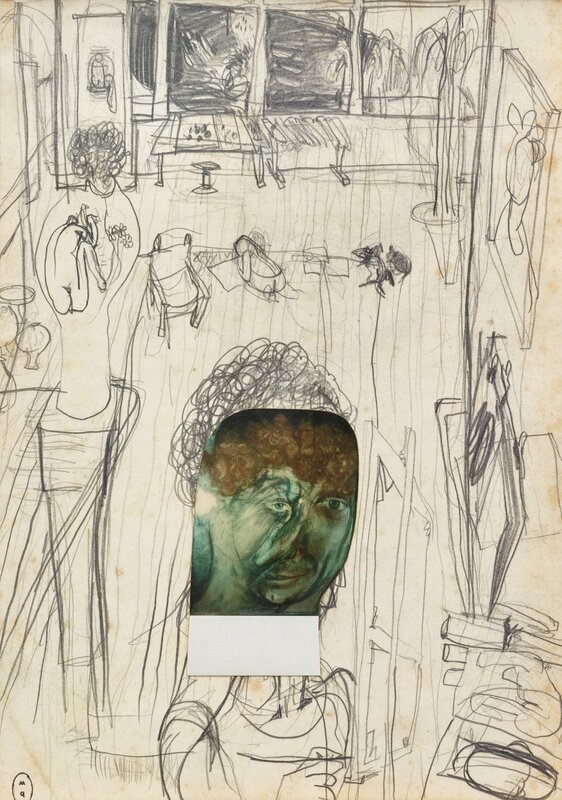 The elongated centre image of Whiteley references the uproar over William Dobell’s unconventional Archibald-winning portrait of Joshua Smith of 1943. This is flanked on one side by a baboon howling with anguish as a ghostly hand delivers it a syringe, and on the other a photograph of the artist looking serenely normal. Unlike 'Self portrait in the studio’, critics were divided about 'Art, life and the other thing’, perhaps because of its sensationalism and lack of subtlety compared to the earlier work. Almost too brutally honest, it seemed like the final flaring of a dying star. Many who were close to Whiteley, then aged 39, felt sure he would not survive beyond 40. Yet he would survive for another 14 years, fatally succumbing to his drug addiction in a motel room at Thirroul on the south coast of New South Wales in 1992. The other title to this self-portrait is 'Self-portrait in exactly the spirit in which it was drawn’. This long oil and ink self-portrait incorporates fluid lines building to a sense of rapture, intoxication and playfulness. 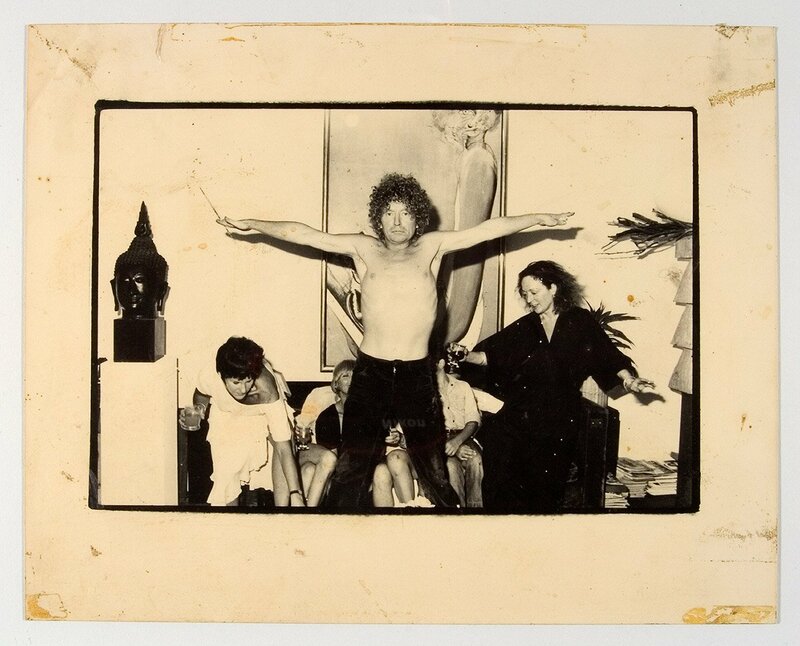 It was first publicly exhibited at the Bonython Art Gallery in Paddington, Sydney in February 1972 as part of an exhibition titled Portraits and other emergencies. Whiteley used the occasion to open discussions about Asia during a period in which Australian prime minister Gough Whitlam and American president Richard Nixon were establishing new relationships with the People’s Republic of China. Choose one of Whiteley’s self-portraits. Why did that particular work gain your attention? What is your initial response to this artwork? How does it make you feel? Consider the gaze of Whiteley in each of these works. Do you feel welcomed or uncomfortable? Are you being ignored or judged? Do you feel you are watching the subject or is the subject watching you? 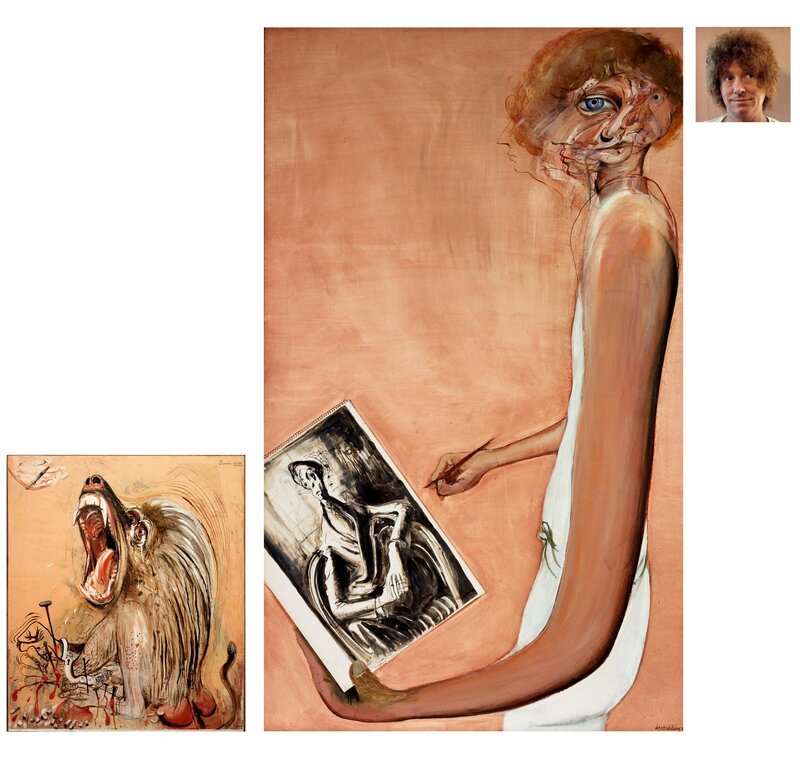 What is Whiteley trying to tell us about himself in his self-portraits? How does he push the definition of portraiture? People’s personalities are reflected in the things they collect and the environments in which they live. Look at these paintings and examine how Whiteley has given us clues to his identity. Explore the tradition of interior and still life painting by examining the work of Johannes Vermeer, Henri Matisse, Vincent van Gogh, Giorgio Morandi and Margret Preston. How do they compare to Whiteley’s artworks? Why does he reference these artists in his self-portraits? 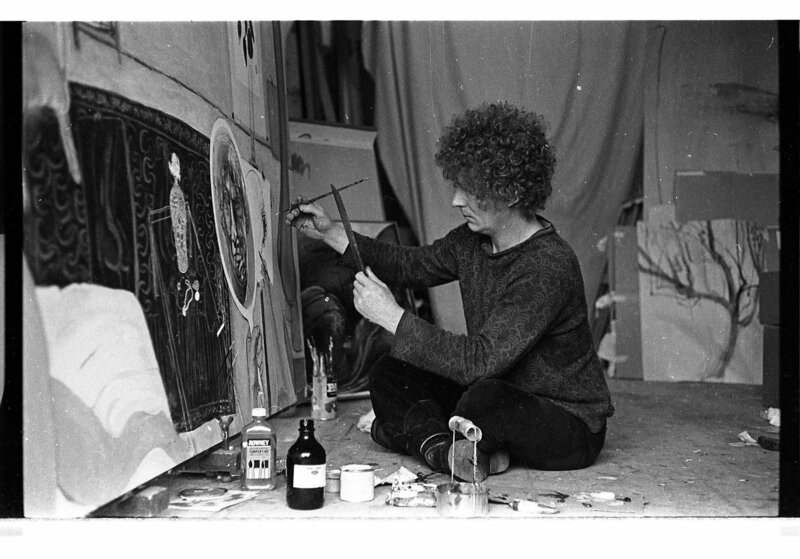 How did his studio inspire Brett Whiteley’s art-making? Imagine an ideal studio space that would help you to create art. Consider the location, size and functions. How would the space be divided and what objects of inspiration would be around you? Place yourself in your favourite room. Photograph the space around you then draw or paint a series of sketches of this room and several items in it that are important to you. Collage these images together to create a portrait to display in class. Write a list of the things that interest you and your favourite objects. Construct a self-portrait by layering images of these personal symbols. Create a self-portrait that reflects your emotional state. How can you use colour, texture, symbols and other elements to give viewers an insight into how you are feeling?